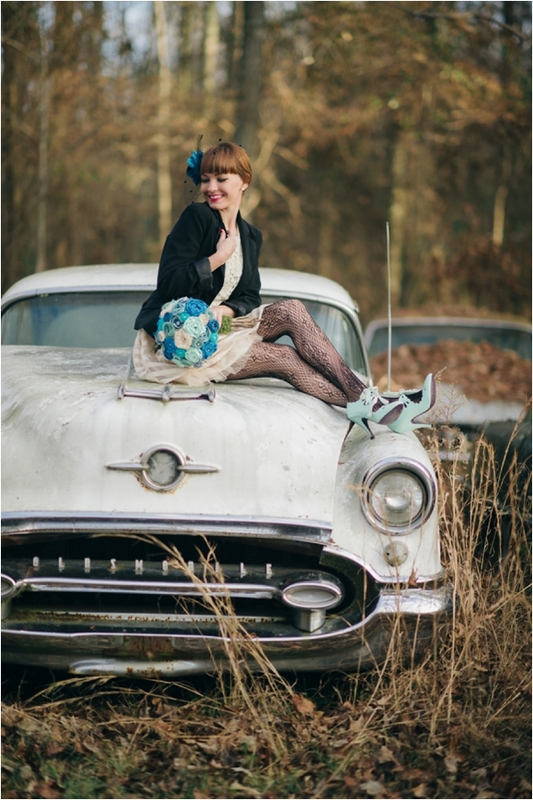 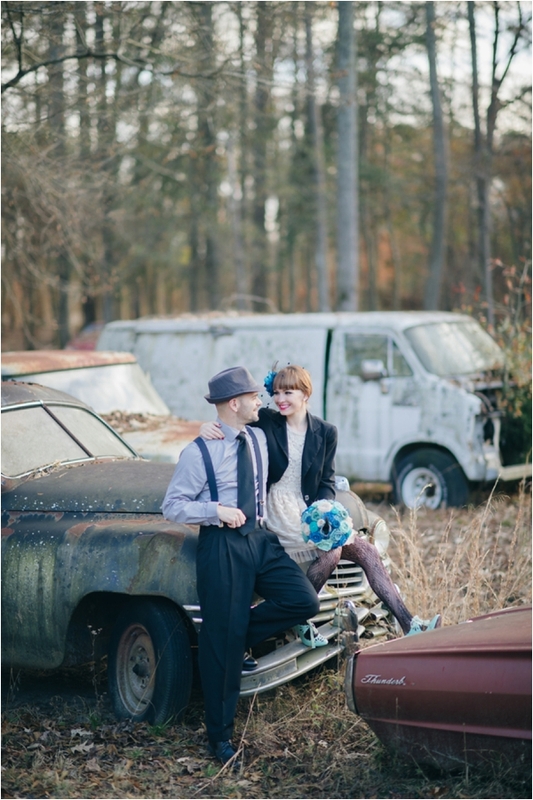 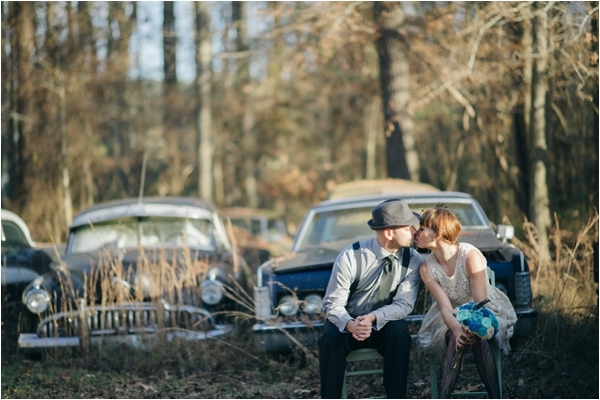 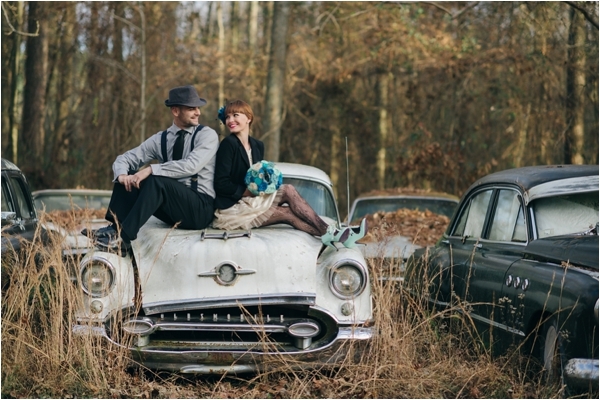 "Last summer I photographed a family in a killer junk yard here in Elizabeth City, NC that was full of old, broken down mid-century cars, and after the session I couldn't stop thinking about that location!! 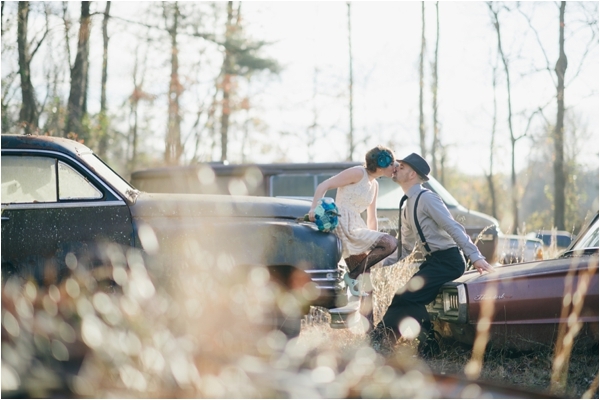 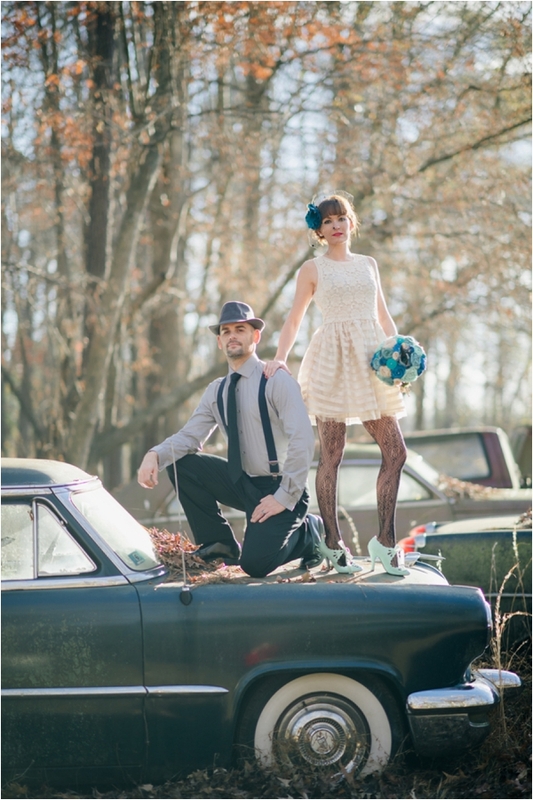 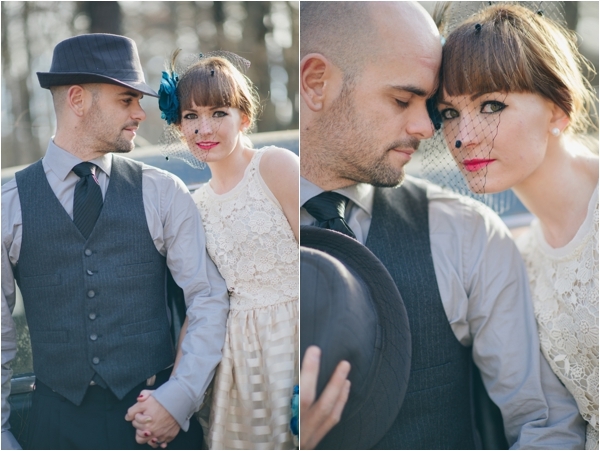 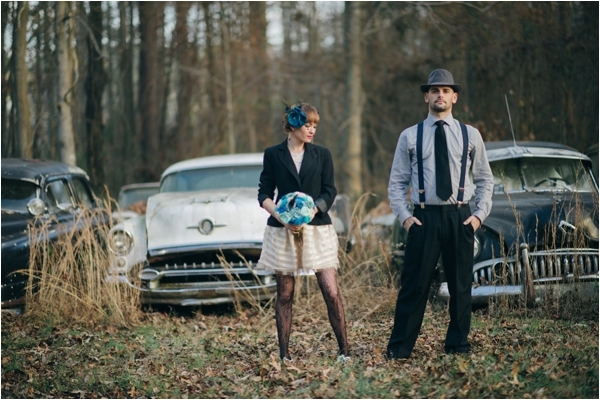 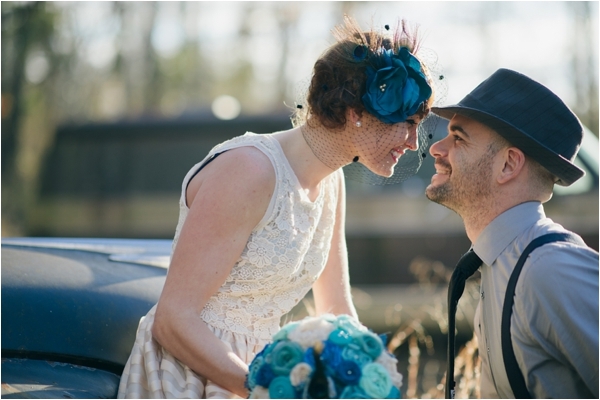 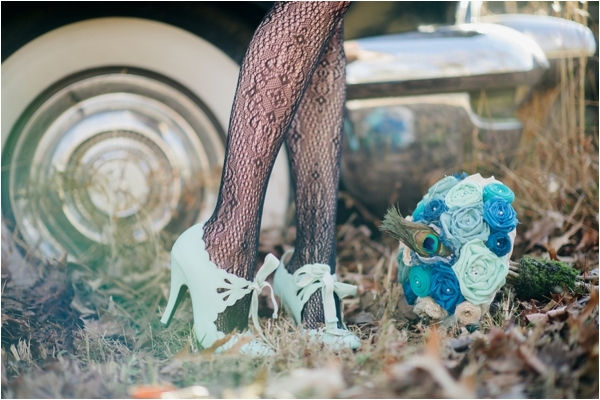 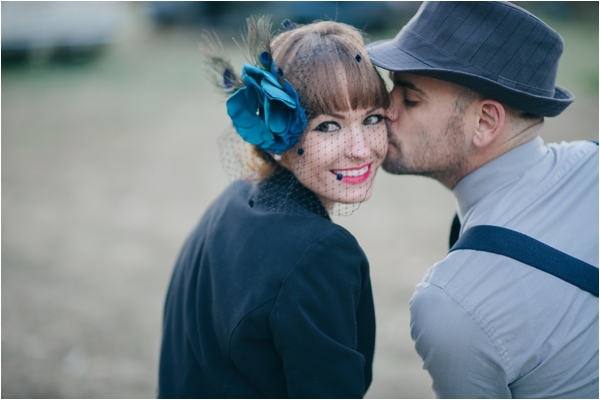 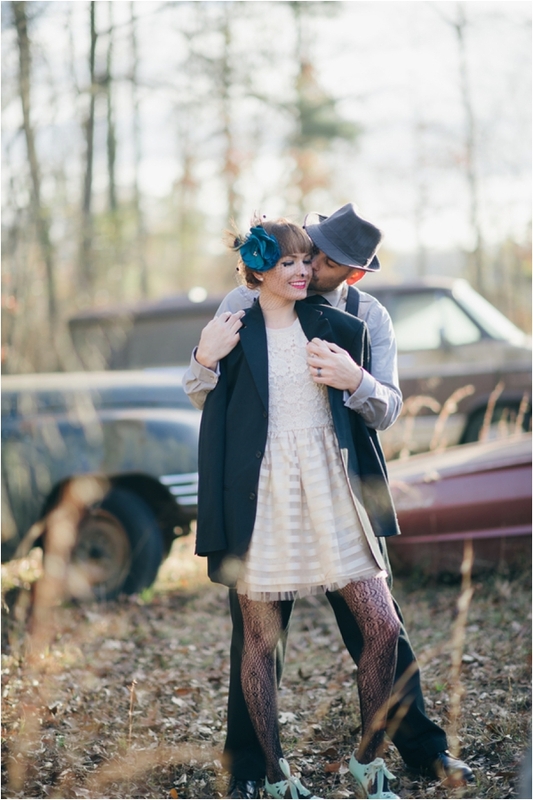 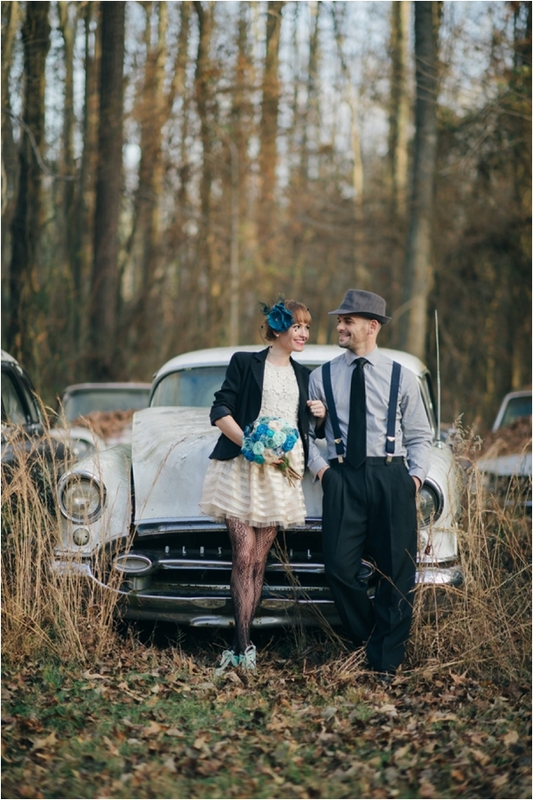 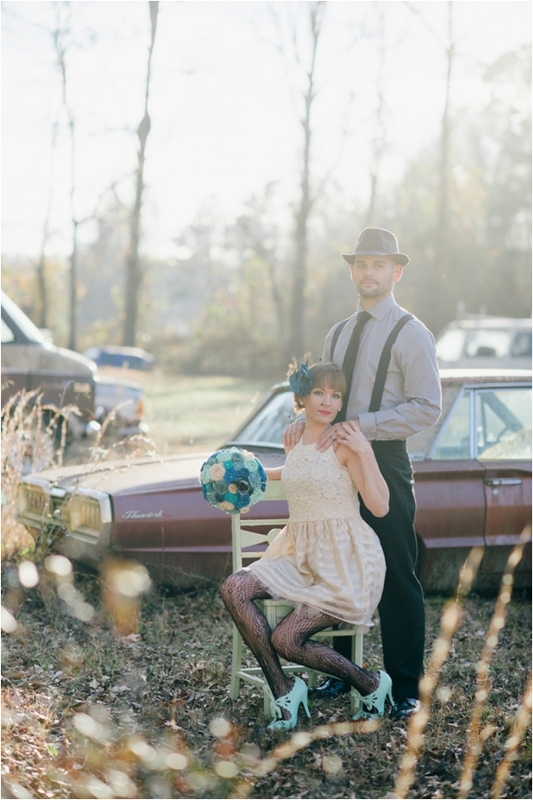 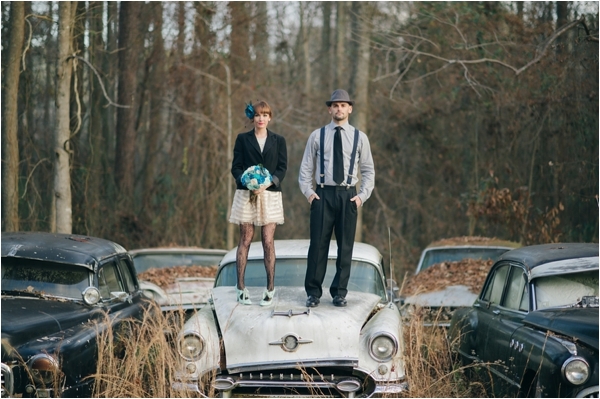 I couldn't shake the images in my head of a bride in a short wedding dress, killer shoes and adorned with peacock-y colors; and her dapper groom in a gangster style hat and suspenders... and how stunning they would look next to those old, vintage cars! 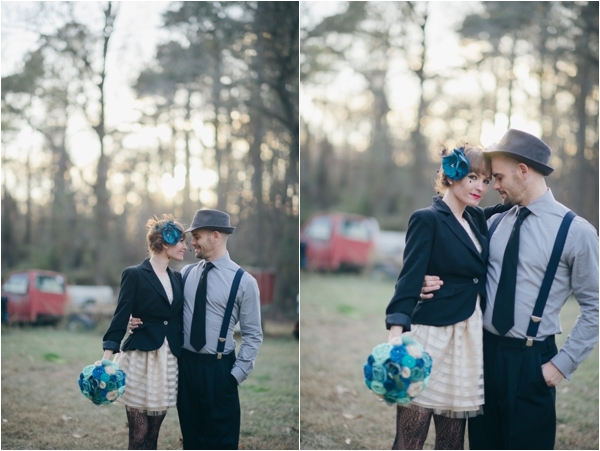 I asked a handsome couple that I know, Sarah and Jason (happily already married), if they'd help me carry out this vision by modeling for me, and we got to planning! 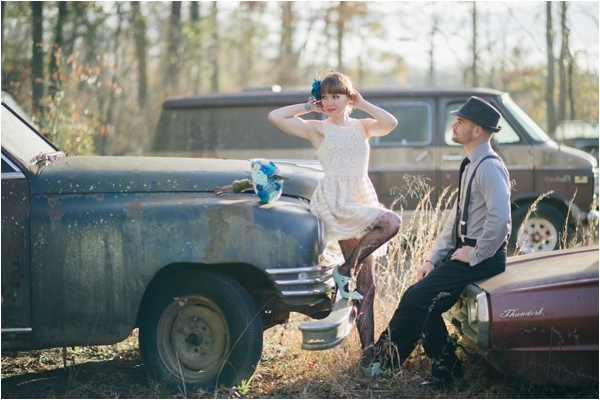 Not only was it important to me to create some stunning imagery from this session, but I also wanted to keep it budget friendly to encourage future brides that you can create something awesome and unique without breaking the bank :-) We spent about $250 total on this look including dress, shoes, veil and fabric flower bouquet, and I couldn't be happier with the results!